This bedroom is part of the Campbell renovation. The bedrooms were all repainted in warm grey tones to complement the chocolate brown furniture. 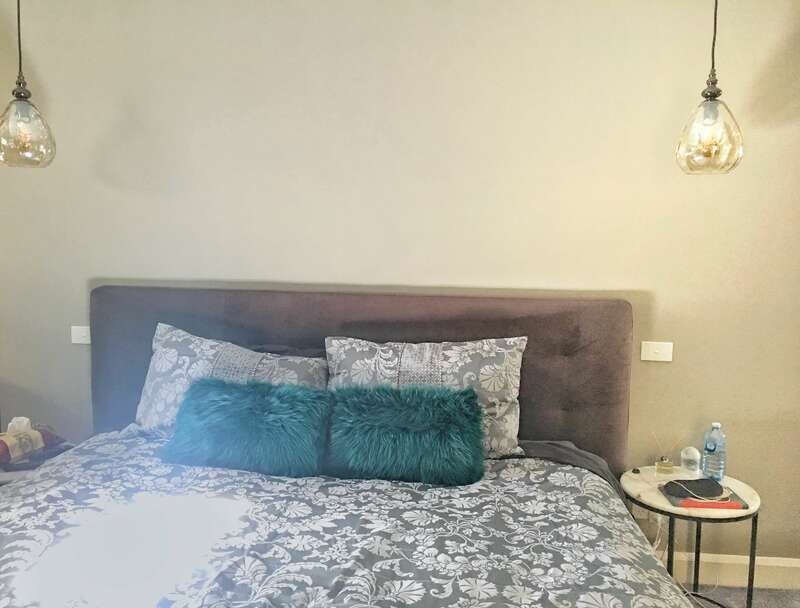 This renovation of a 1960s home in Campbell consists of a renovated kitchen and bathroom a ensuite added to the master bedroom, new windows and repainting of all rooms. The house was painted all beige when the client bought it and she wanted to brighten it up and create a more contemporary look and introduce some fresh grey into the colour scheme. 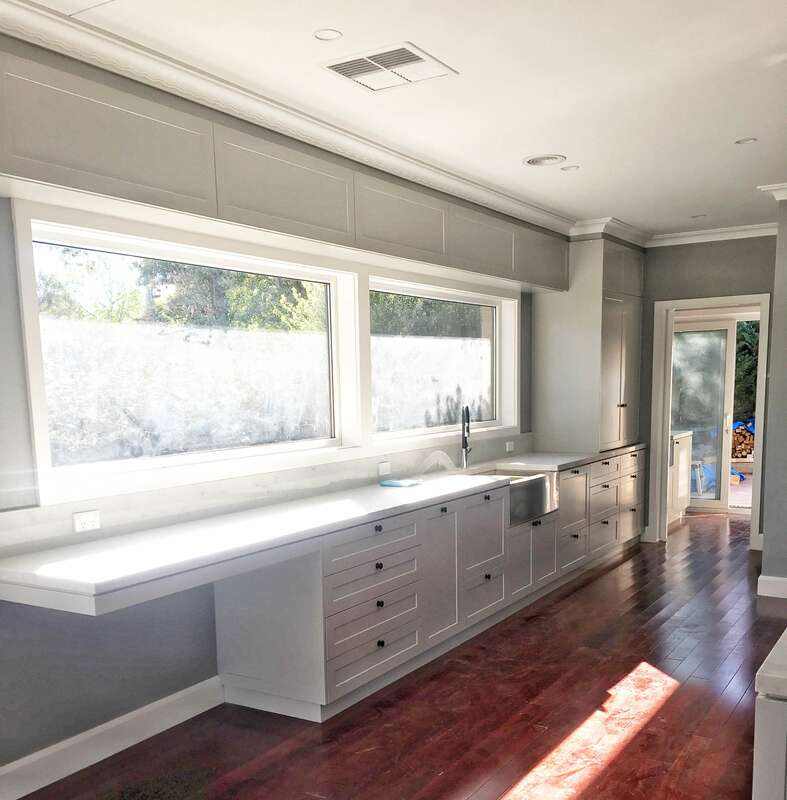 New windows, tiles, cabinetry, benchtops and paint were selected to give the home a new and updated look that still works with the style of the home and existing finishes. The kitchen was reconfigured and all new finishes installed. 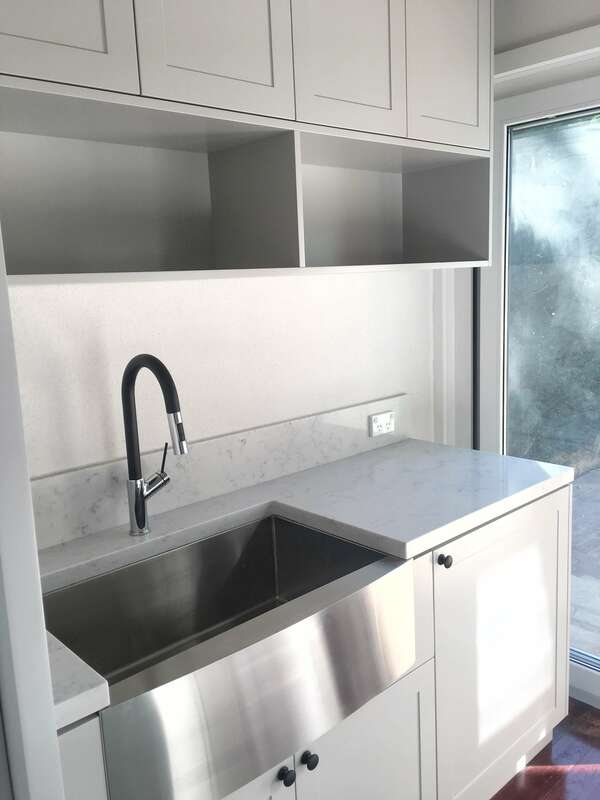 A light grey, Laminex Oyster grey, was selected for the cabinetry and Smartstone Athena chosen for the benchtops and splashback. 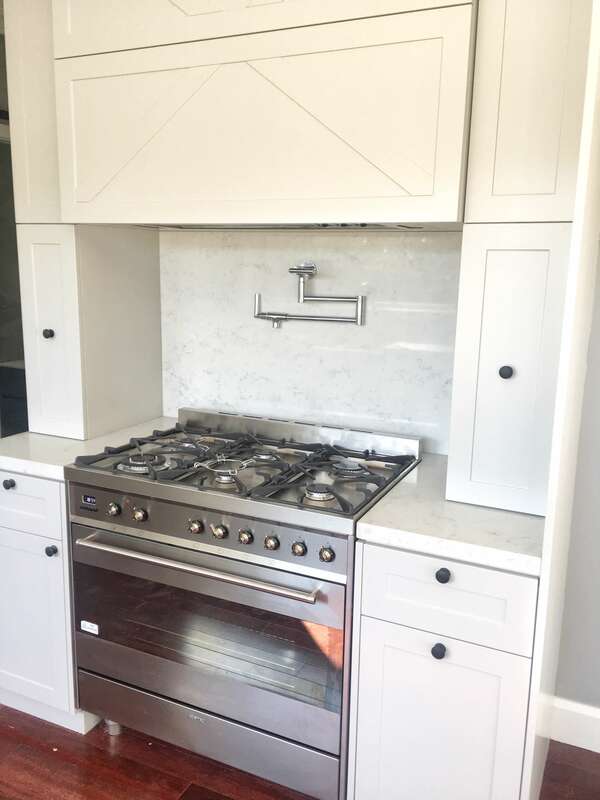 The walls are painted in Haymes Charcoal Grey to contrast with the cabinetry. The hallway was painted in Haymes Balance, to tie in with the kitchen walls. The lighter tone works in the hallway as it is a darker space that needed lightening up. Trims and doors painted in Haymes Greyology for a fresh look with the grey walls. The bedrooms were all repainted in warm grey tones to complement the chocolate brown furniture. The ceiling and trims were painted white to keep the look fresh and add contrast to the grey walls. The walls are painted in Haymes Memory and the ceiling and trims are in Haymes Greyology 1.